The raging battle that began on shore leaks into the village. A sword strikes out as a Norse raider climbs over a high wall. The Odomar Viking Leather Bracers prove useful as the Viking lifts a shield to repel the oncoming attack. The thickness of these Nordic armguards provides the protection needed on the LARP battleground. Rivets and flared edging enhance the defensive power, while the Norse vine patterns suit a Viking raiders style. 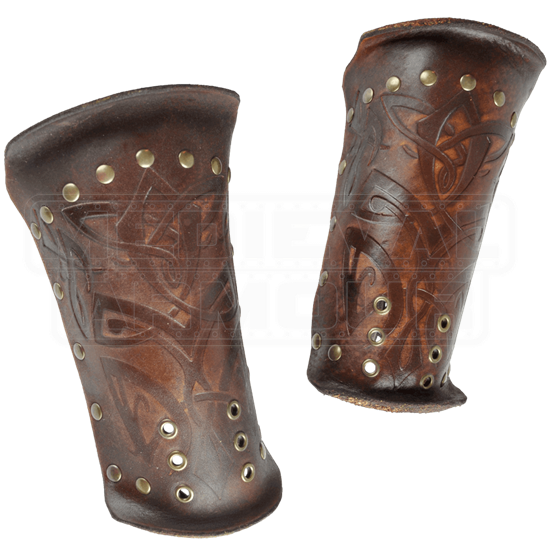 Secure these leather bracers to your arms with the included leather strings. 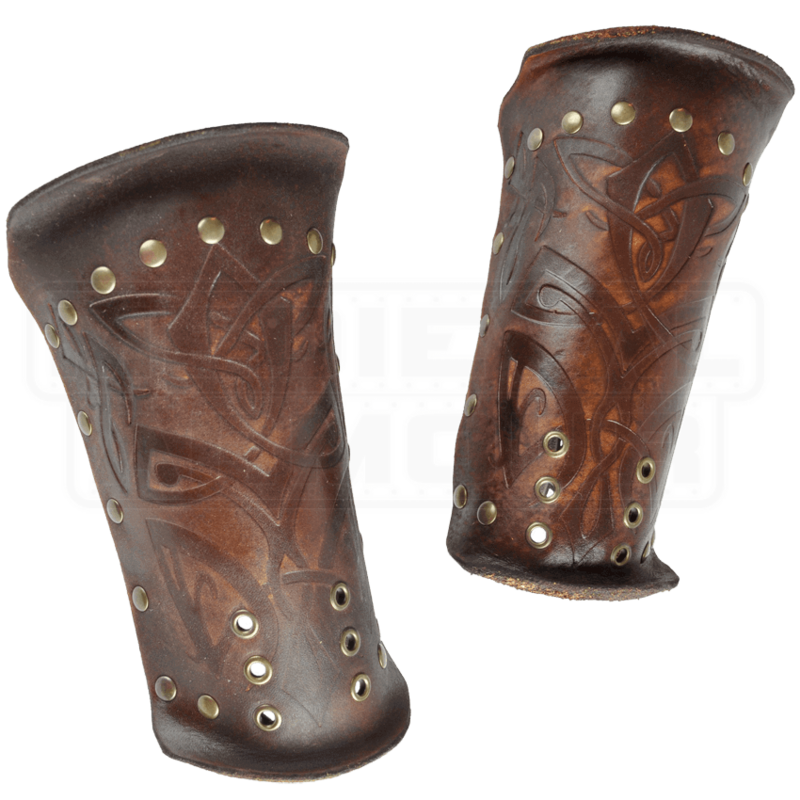 The eyelets at the wrist are perfect for adding the Odomar Viking Leather Mits.